On April 8th Curt will be speaking at Tacoma Art Museum. 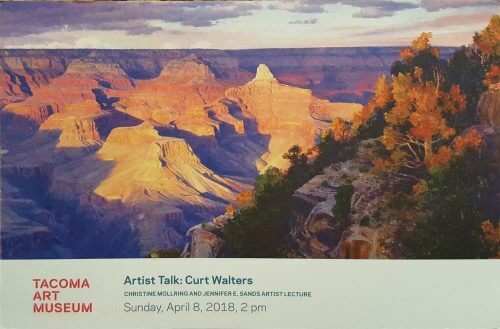 The talk, titled “My Story: Grand Canyon and Other Provocations” will include stories and highlights from his career, adventures in travel and conservation efforts, and will also give an insight into how Walters has honed his craft and become the top contemporary artists to use Grand Canyon as their focal point. Curt’s iconic 40″ x 60″ painting Supreme Moment of Evening will be a highlight of the event and will be available for viewing in the Haub Galleries. 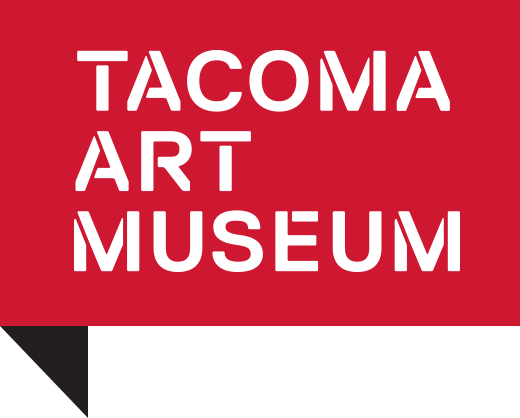 The Haub Family, originally from Germany, generously gifted their collection of over 300 works of Western American art to the Tacoma Art Museum in 2012. This unrivaled collection includes the first American painting the family purchased – Curt’s Grand Canyon of the Yellowstone. Over the years, a number of Curt’s work have found their way into the Haub collection and can be seen at the museum. This impressive collection contains works ranging in date from 1790 through today, allowing the museum to showcase the history of the West and blend it with their Northwest art collection, giving a greater understanding of the area helps to shape regional artist responses. As an activist for conservation of Grand Canyon, Curt has worked with well-known philanthropists, other artists and the Grand Canyon Trust to help maintain the beauty of the canyon for future generations. Preservation of one of the country’s national treasures was the driving force behind the creation of a painting gifted by Curt to the Secretary of the Interior in 1994. The painting so aptly titled “National Treasure,” was later gifted back to the Grand Canyon National Park, and to this day can be seen on display at the Kolb Museum at the canyon when it’s not being showcased across the country on loan to other museums and exhibits. 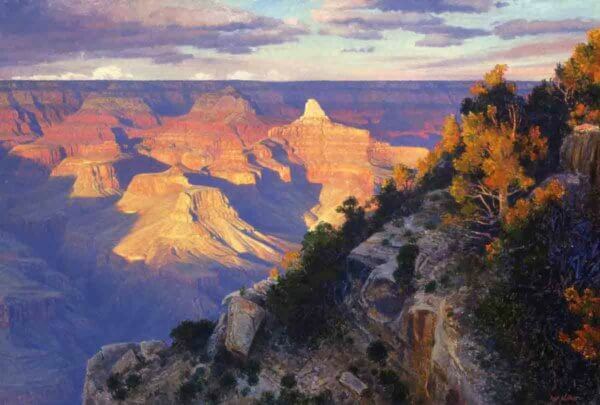 Curt Walters has traveled to and captured nearly every corner of Grand Canyon on canvas. His ability to capture the changing light in sun and shadow over the years has been impressive to say the least. 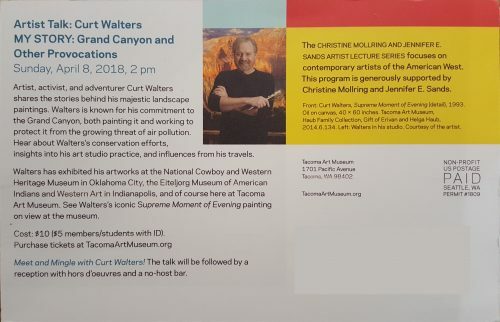 His enormous paintings of the canyons depths and heights have caused people to gasp in awe and has resulted in Curt being named the “King of the Canyon” in 2016 by Art of the West magazine. Walters has had the privilege and honor of having his work shown at the Forbes Magazine Gallery and The Salmagundi Club in New York, The Autry Museum in Los Angeles, The Eiteljorg Museum in Indianapolis and The National Cowboy Hall of Fame in Oklahoma City. He will touch on a few of the awards he’s collected over the years during his talk on April 8th. The hour long talk will begin at 2pm. Tickets for the event are $10 each and can be purchased at the door and will soon be available online through the museum’s website. The talk will be followed by a reception with hors d’oeuvres and a no-host bar. The Art Talk Series is generously funded by Christine Mollring and Jennifer E. Sands and is a part of the Christine Mollring and Jennifer E. Sands Artist Lecture Series, which focuses on contemporary artists of the American West.